I'd like to introduce you to our newest blogger, Boris Lomov. Boris posts on AusBonsai using the name Kigawa. Boris has been blogging for a while now and has transferred his old blog into his new AusBonsai one. Boris is a regular overseas traveler and prolific photographer of bonsai, Japanese gardens and other associated arts. He is an Entomologist with the Department of Agriculture, Fisheries & Forestry so you can expect some posts relating to insects and pests. 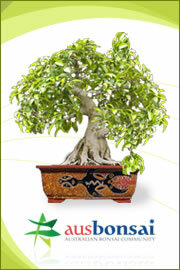 He also dabbles in making bonsai pottery as well as collecting and studying antique bonsai pottery. His blog is a rich resource of knowledge and interest which I'm sure you will enjoy. 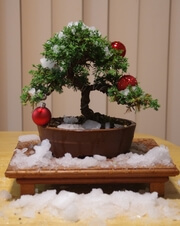 Ladies and gentleman, you can visit his blog here http://www.ausbonsai.com.au/blog/borislomov/ Please make the small effort to comment on his blogs as encouragement for the work he puts in. Last edited by Steven on February 1st, 2013, 7:37 am, edited 1 time in total. Thank you so much Boris for introducing your blog to AusBonsai. I enjoyed your trip so much that I felt I was there with you. Now you have wet my apetite! Please continue to post your adventures and more importantly your knowledge. A very big Thank You for sharing your trip. If you have not seen any of Boris' pots, then do yourself a favour and have look if you can, they are wonderfully unique and very attractive. Boris, you have presented a very well written blog. It was interesting to read and fascinating to follow your travels. Thank you for sharing. Would love to see some of your pots? Thoroughly enjoyed your blog, fantastic pictures and information...Very inspiring. Love the look of your pots would love to see more. Cheers John. I realy enjoyed the bogs and images and will certainly be viewing older posts, Please keep posting - I look forward to it. boom64 wrote: Love the look of your pots would love to see more. Cheers John. My avatar is a Kurrajong flower (Brachychiton populneus). Don't forget to post reply's to the bloggers to encourage them! Last edited by Steven on December 2nd, 2013, 2:45 pm, edited 1 time in total. I missed out on publishing this article in Bonsai Focus, but they were kind enough to put a link to it on their website. If you like the article, please vote for it here.